Project 500 is delighted to announce Gary Street as the first of its Male Ambassadors of the Month. Gary Street is one of women’s rugby’s most successful coaches of all time. During an 8 year stint as head coach, under his guidance, the England Women’s national rugby team won five Six Nations in a row and two Nations Cup championships, as well as being crowned World Champions in 2014! Gary is now head coach of the Oxford University women’s team. Project 500 has teamed-up with the RFU and Gary to support more females into rugby coaching. We have already hosted a rugby development day and are supporting over 30 coaches through further CPD and training, including World Cup winner Claire Purdy! Gary has agreed to support Project 500 as a male ambassador and is a keen advocate for increasing the number of female coaches across all sports, to unleash a whole range of previously hidden talents which can only improve sport as a whole. He believes that is time we accept what females have to offer and is willing to guide them in any way he can to help begin their coaching journeys. As coach developers we are always looking at new and creative ways we can support coaches learn and develop alongside their day to day role. Through Project 500, we have successfully introduced a variety of supportive interventions, including 1:1 coaching clinics, bespoke female only coach education workshops and sub regional networking events, making this project more than just a bank to fund qualifications. Through our annual survey put to Project 500 coaches and by attending coach development events delivered by National Governing Bodies, it is clear coaches value the opportunity to network with others and get involved in discussions as a form of learning. This can be through sharing examples of best practice, experienced coaches providing tips and recommendations to aspiring coaches, or simply being able to relate to others and connect with your peers. So how can we connect female coaches on a regular basis? 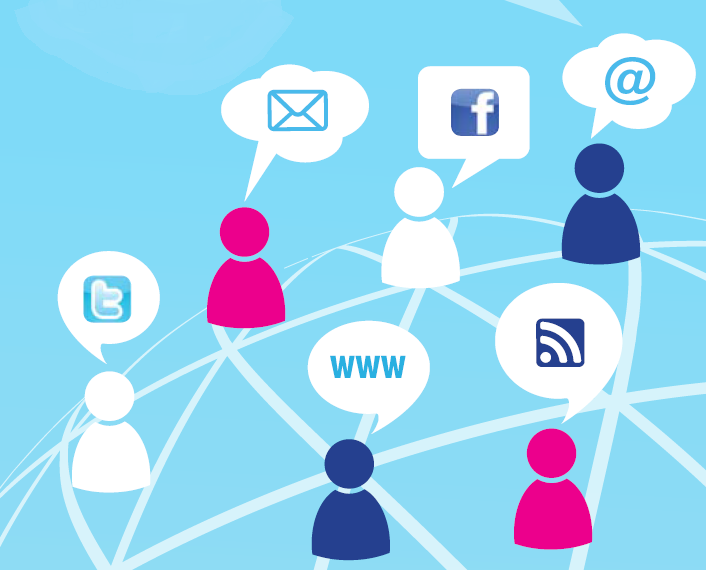 The virtual world of social media has opened our eyes to how easy it is now to connect with people across the world at the touch of a button. This got us thinking; why not use social media to connect female coaches and provide a platform to network on a regular basis? Why not give coaches a voice and the opportunity to network at a time that suits them at no cost? Coaches were encouraged to share their views on Twitter or post comments on the Project 500 Facebook page as well join in with the online forum hosted by the Female Coaching Network. Much to our delight, the comments and questions came flooding in throughout the launch day and we were delighted to see Project 500 ambassador, Natalie Curtis, and Dame Tanni Grey-Thompson get involved in the discussions. It was great to see female coaches share their real life experiences they have faced of stereotypes in coaching. With some, having to prove themselves to their male counterparts proved an issue. For others, demonstrating they had the skills and knowledge was enough to be seen as equal. 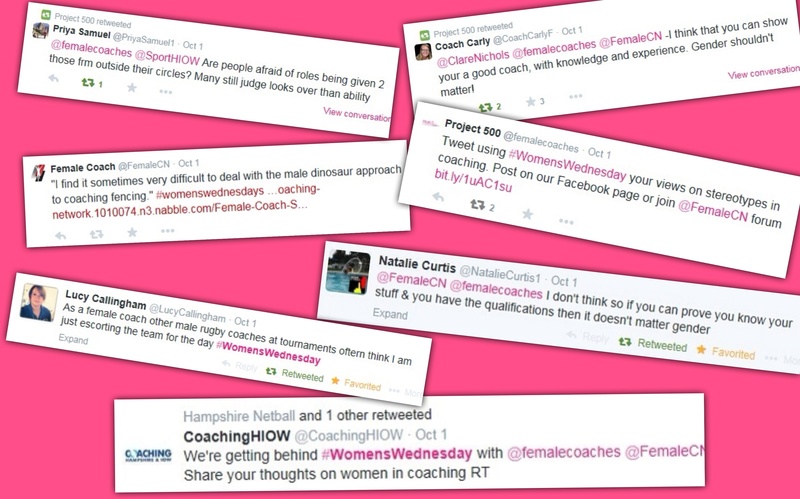 The Female Coaching Network online forum was alive with coaches sharing their stories. I have definitely suffered this! I was a football coach for a boys team many many years ago and ended up retiring as all comments made on my coaching were the appearance of my legs in shorts and that as a woman I do not understand football! I moved on to track and field which is a much more ‘equal’ sport with very little stereotype for female coaches. It’s so great that we can all discuss the same topic from different sports! It seems already that the reoccurring theme is that the ‘ego’ takes over and hides away the professionalism of coaching. Yes, sexism and harassment needs to stop, but maybe its not that the men need to calm down…maybe its women need to step up? I’m in a different boat for stereotypes – less is expected of me, but I deliver more, I deliver if not more than my male counterparts and now out skill them. So, I’m female but with a high skills set, so the stereotype for this is of a “threat” due to changing norms. I’m not going to change, nor stop – I will continue to surpass them. And only recently I was overlooked for a less qualified male counterpart, and I can’t help but think if my skills were a threat, or also that I’m female. I like to think it was for my skills, but it’s hard to tell. That said, if we all worked on advancing our skill set and were in even playing grounds to our counterparts, I think it gives us the best chance for challenging the norms. We are delighted with the successful launch of #WomensWednesday and cannot wait to see what future weeks will bring. We will continue to work in partnership with the Female Coaching Network and offer different topics for debate. This is a question not often asked in sport? The reason being is that people can name the appointed ‘head coach’ but they are not aware of the differing roles a coach is expected to play to support her athlete. Attending the British Athletics Women in coaching conference reinforced the need for coaches to simultaneously juggle the role of sport expert, NGB liaison, minder, personal assistant and ‘mum’ to the athlete without being given guidance or training in these areas. It also reinforced that whilst coaches are encouraged and supported to obtain formal NGB coaching qualifications, this needs to be supplemented with informal knowledge learning in areas that sit outside of the sport specifics yet, vital to perform as a quality coach. To hear blunt and realistic experiences from elite coaches including Australian sprints and hurdles expert Sharon Hannan who did not have a performance athletics nor sport background and yet, has coached one athlete to an Olympic Gold medal with others on the verge of breaking through the international competition arena with little support was insightful. Understanding ones’ self, our learning preference styles, our personality styles through ‘the female chimp explored’ workshop was fascinating as it asked me to outline what my ‘chimp’ does like and dislike and therefore how to respond to this behavioural notion. It also confirmed the personalities I need to identify within my coaching and support entourage. Knowledge learning allows me to improve my delivery style, question trends and practices. Thanks to Project 500, attending the conference gave me valuable insight and development that, I would not have otherwise had the access to. The conference confirmed that coaching knowledge can be transferred across sports and this practice should be endorsed and encouraged. We are after all, women who want to deliver the best coaching service we can provide. So, who is the coach? Good news for Women’s Sport . . . on screen!! About 18 months ago The Women’s Sports Network started publishing basic information on the scheduling of Women’s Sport on TV – you asked to be kept updated, but last summer we launched ACTIVEMapX – but our technology and admin resources couldn’t support both services. As a small, unfunded, not-for profit organisation we have to work really hard to support a number of free services for WomenSport & SportsWomen – with just a small group of volunteers. TVi – integrates a mix of TV programme listings on scheduled (linear) channels such as BBC, SKY & TraceSPORT . . . plus LIVEStream events direct from event organisers around the world, PLUS some interstitial programming with on-demand services – all listed under ‘TVTimes’ on the new website . This weekend we’ll be covering three international hockey matches from NZ – culminating with the Black Sticks v the Hockeyroos . . . . and the Women’s Junior Surfing Champs in Ecuador. Plus the London Marathon and a re-run of SKY’s Sportswomen. The new website is here www.wsnet.co.uk – there are still a few small glitches which we are ironing out. If you ‘follow’ our new twitter channel @WSN-TVi – we’ll ‘tweet’ you an hour before all TVi programmes – if it’s a LIVEStream event you can even watch it on your home or tablet! You’ll see we are launching some exciting additions such as #ShowUP, SportsREPORT & WomenSorts News – and more to come – particularly in the lead up to #GLASGOW2014! Sports Liberated – To celebrate the launch of our new website – Sports Liberated – the UK’s monthly sports magazine is offering its APRIL edition with a 50% WSNet discount – great value at £2.50 – a barging at £1.25! Please do let me know your thoughts – observations, comments, criticisms – we are determined to make sport more available to women and girls.